Ernst and Young (EY), a global professional services company, has chosen IronOne Technologies and BoardPAC Co-Founder and Chief Executive Officer Lakmini Wijesundera to be included in the prestigious EY Entrepreneurial Winning Women (EWW) Asia-Pacific program 2017 as a top woman entrepreneur in the region. The EY Entrepreneurial Winning Women Asia-Pacific program, now in its third year, is an executive leadership program that identifies a select group of high-potential women entrepreneurs whose businesses show real potential to scale and then helps them do it. This year-long program is designed for women with established businesses who are ready to scale operations and grow to become global market leaders by equipping participants with tools and relevant information. The program will also provide strategic support through leading guidance and access to the EY global entrepreneurial ecosystem. “My vision is to bring Sri Lanka global recognition for being highly capable in the field of IT innovations. My contribution toward this objective is to pave a trailblazing path through my efforts with my company IronOne Technologies, which has the vision to create globally impactful and recognised IT software products with a strong and highly successful global presence,” Wijesundera added. Participants of this year’s program convened for the first time on 15 and 16 May at the EY Entrepreneurial Winning Women Asia-Pacific Conference, which was held at Taj Mahal Palace and Hotel, Mumbai. At different sessions participants were able to share the same passion for innovation, service, developing people and improving the quality of their lives, providing customers with exceptional experiences, all the while being rooted in strong ethical values. Wijesundera has over 20 years of experience in technology management and enterprise software development. Her business IronOne Technologies and BoardPac currently operates globally across 15 countries and has successfully collaborated forming international partnerships with leading companies in the telecom sector such as Maxis in Malaysia, Robi Axiata in Bangladesh, SingTel in Singapore and XL Axiata in Indonesia. Wijesundera has been recognised numerous times for her success. In 2016, she was the recipient of the Special Award in recognition of Unique Entrepreneurship and Achievement in the field of exports by the National Chamber of Exporters (NCE) of Sri Lanka. In 2015, Wijesundera received the Entrepreneur of the Year, Exporter of the Year and Gold Award in the large company category at the Entrepreneur Awards organised by the Women’s Chamber of Industries and Commerce (WCIC). 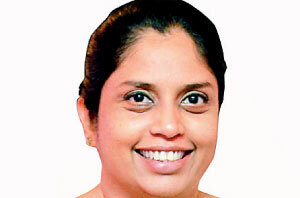 In 2014, the Computer Society of Sri Lanka (CSSL) named Wijesundera Female ICT Leader of the Year, and she was included in Echelon Magazine’s list of the 50 Most Powerful Women in business in Sri Lanka.